You'll be humming Neha Bhasin's latest song 'Chan Mahi' for hours. New Delhi: Singer, songwriter, performer, and best known for her wonderful reinterpretations of Punjabi folk songs, Neha Bhasin is back with another chartbuster. This time, it's the song 'Chan Mahi', more famously known as 'Jind Mahi' that Neha Bhasin has recorded in collaboration with Naina Batra. "This version is how my mother and my Grand Parents sang it..." she explains in the video description. "My nani, my ma and my choti nani and her mother all sang Bai jaana, so leave it. Most sing Jind Mahi my family does not," she explains the difference in lyrics further in the comments section. It is not unusual for folk songs to have different versions and lyrics. 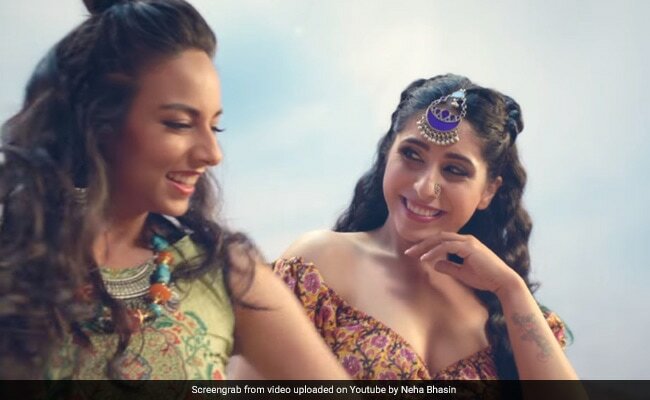 With a quirky, colourful video, some delightful dancing and powerful singing, 'Chan Mahi' by Neha Bhasin is on its way to becoming a surefire hit. In fact, since being uploaded one day ago, the video has already collected over 87,000 views - and very much counting. "I love your confidence and the way you are giving a modern twist to the old Punjabi folk songs," writes a commenter on YouTube. "Great to see that Big Artists are taking Folk Music to new heights..." another agrees. On Twitter too, many have praised the song and the video. What do you think of 'Chan Mahi'? Let us know using the comments section below.